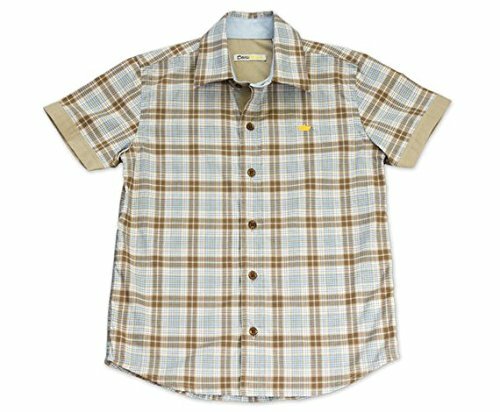 Dakomoda Toddler Boys' Short Sleeve Easter Shirt Brown Check 100% Pima Cotton Dress Shirt. 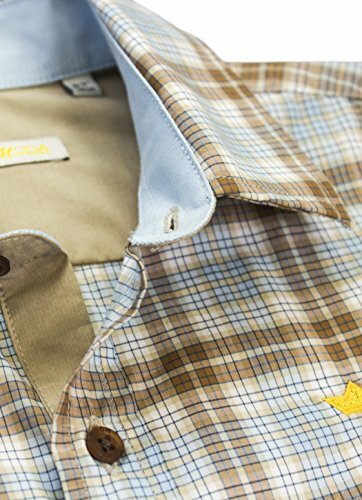 Our classic short sleeve button-down shirt in exceptionally soft Pima cotton features a brown and baby blue check pattern, modern contrast lining at the collar and contrast trims on placket and sleeve. Embroidered logo detail on the chest. Made in PERU. PREMIUM QUALITY PIMA COTTON: Made of 100% Peruvian Pima cotton, the finest and most appreciated type of cotton in the world, which makes it ideal for your toddler's skin. 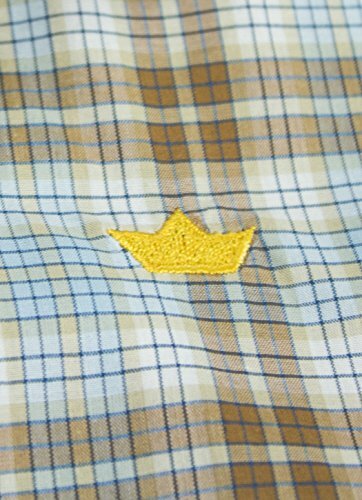 CLASSIC AND TIMELESS DESIGN: Our classic short sleeve button-down shirt in exceptionally soft Pima Cotton features a brown and baby blue check pattern, modern contrast lining at the collar and contrast trims on placket and sleeve. Embroidered logo detail on the chest. VERSATILE: Use it for school, holidays, birthday parties and many other occasions. In addition, our shirt will make a great gift that both mom and the child will love! EASY CARE: Machine wash warm. Non-chlorine bleach. 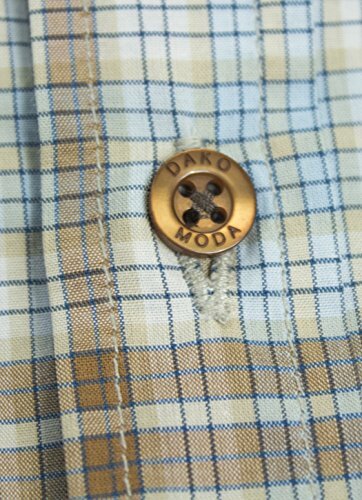 If you have any questions about this product by Dakomoda, contact us by completing and submitting the form below. If you are looking for a specif part number, please include it with your message.